So, it’s 2016. For followers of British politics, it will be a crowded year. 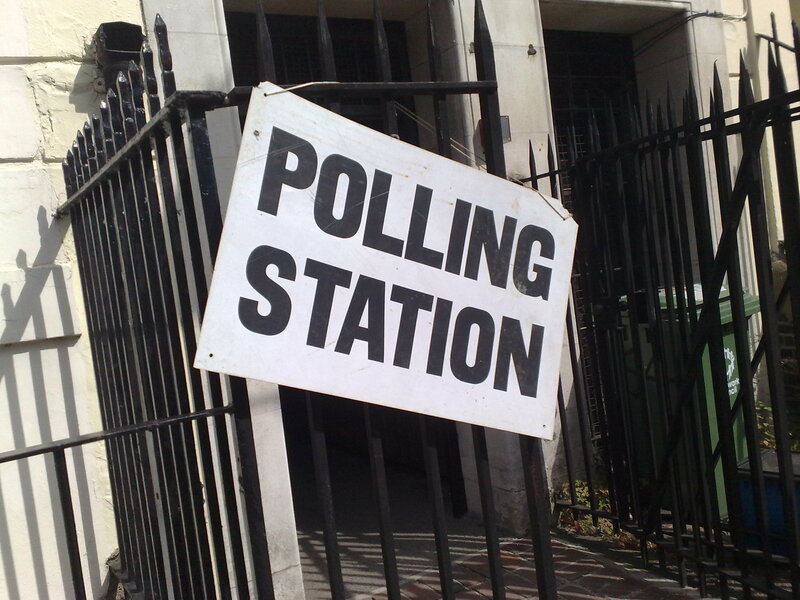 In May, we have significant electoral contests in Scotland, Wales, London and Northern Ireland, as well as local council elections across England. There are also Mayoral elections in Bristol, Liverpool and Salford – and let’s not forget the Police and Crime Commissioner elections that will happen across England and Wales. 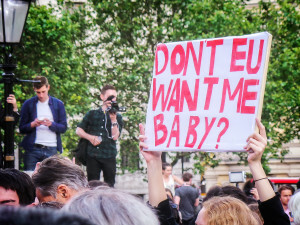 All in all, every voter in the U.K. will get a chance to cast a ballot for something, making it the biggest nationwide electoral test for the new Labour leadership until the European Parliament elections of 2019. To borrow a phrase from U.S. primary elections, it’s fair to say we have been handed our own “Super Thursday”. It’s also likely that in the autumn, we’ll see the referendum on the U.K.’s membership of the European Union. While parties will not be on the ballot, the result will shape British politics for years and decades to come. With these contests rapidly approaching, pollsters have begun to publish surveys of British voters on how they plan to vote. There are also plenty of key numbers for those contests that currently lack opinion polling. When it comes to the Scottish Parliament and Welsh Assembly, opinion polls can only tell us nationwide percentages; seat counts are harder to predict. I recently constructed seat projection models for both elections which gives us an insight into this, however. Simply put, when I input the national voting intention figures, the models detect the swing from 2011 and apply this to the regions and constituencies. They then use the Additional Member System to calculate the new seat count. While there is an online projection model for Scotland at Scotland Votes, there is not one for Wales, and the Scotland Votes one occasionally gives different numbers to mine, perhaps due to rounding. Using my own calculator also enables me to look at individual regions and constituencies, which Scotland Votes doesn’t allow. So: with that in mind, this article will give a run-through of the current polling data and key facts for each contest. 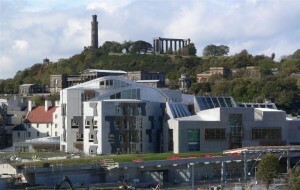 The SNP, now led by First Minister Nicola Sturgeon, will be seeking a third term in office, 5 years after first winning a majority in the Scottish Parliament and 12 months after winning 56 of the 59 Westminster seats in Scotland. An average of polls conducted since Jeremy Corbyn became Labour leader shows the SNP on 54.6% of the vote in the constituency ballot, compared to 21.4% for Labour, 14.6% for the Tories, 5.2% for the Lib Dems and 4.4% for other parties. In the proportional list section of the ballot, the SNP average 49.8%, with Labour on 21.4%, the Tories 13.8%, the Greens on 6.4%, the Lib Dems on 5.6%, UKIP at 2% and RISE below 1%. 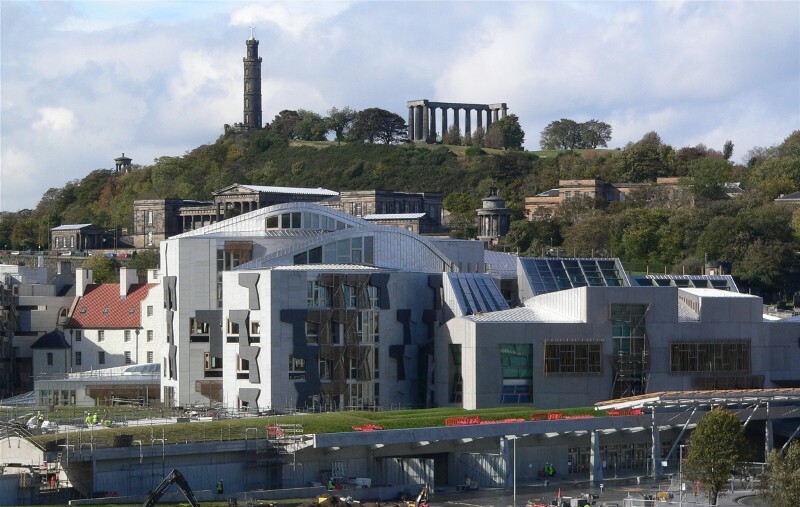 On a universal swing, this would result in an SNP landslide majority, giving them 74 MSPs (up 5 from 2011), Labour 27 (down 10), the Tories 16 (up 1), the Greens 6 (up 4), the Lib Dems 6 (up 1) and other parties 0 (down 1). Of note is that the SNP would sweep 70 of the 73 constituency seats, with the Tories winning 2, the Lib Dems 1 and Labour shut out completely. 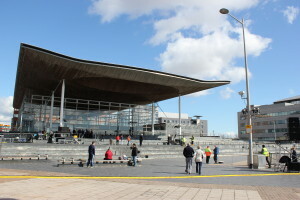 All Welsh governments since the first election in 1999 have been led by Labour, either in coalition with the Lib Dems or Plaid Cymru, or as a minority government. First Minister Carwyn Jones will be seeking a fifth term for Labour, who currently hold 30 seats in the Assembly (exactly half). The Conservatives, who became the official opposition in 2011 with 14 seats, will be hoping to improve on their position, while Plaid Cymru will be aiming to return to the post of official opposition which they lost in 2011. The Lib Dems were reasonably resilient in Wales in 2011, losing just 1 seat, and will be hoping to maintain or improve on that. UKIP is almost certain to enter the Assembly and the Green Party is looking to make its first breakthrough. Welsh polling is often scarce, and indeed there have been only two polls conducted for the Welsh Assembly election since Jeremy Corbyn was elected as Labour leader. An average of the two polls shows Labour on 37% of the vote in the constituency ballot, with the Tories on 23%, Plaid on 19%, UKIP on 14%, the Lib Dems on 5.5% and others on 1.5%. In the proportional list section of the ballot, Labour averages 34%, the Tories 23.5%, Plaid 18%, UKIP 15%, the Greens 4% and Others 2%. On a universal swing, this would most likely result in another Labour minority government or Labour-Plaid Cymru coalition. They would win 28 AMs (down 2 from 2011), the Tories 12 (down 2), Plaid 10 (down 1), UKIP 8 (up 8), the Lib Dems 2 (down 3) and the Greens 0 (no change). Although Labour’s chances of losing the Assembly have been repeatedly talked up, UKIP consistently scores around 15% of the vote in polls, which means that any alternative coalition to Labour would mean a government that included UKIP. As no party would countenance this, certainly not the Lib Dems or Plaid, this makes a Labour-led government in Cardiff Bay almost a certainty. The worst case scenario for Labour is needing Plaid as a coalition partner. The Green Party would come closest in Mid and West Wales, with 4.7% compared to a final-seat quota of 7.4%. They would likely need 8% in that region to ensure the election of a Green AM. London is seen as a major test for Corbyn’s leadership, and so far the Labour candidate – Sadiq Khan – is faring well against the Conservative Zac Goldsmith. In October, YouGov showed Khan at 51% and Goldsmith at 49%; in November, Khan was at 53% and Goldsmith at 47%; and now, Khan holds a commanding lead of 55% to 45%. On the surface, Khan is increasing his lead. It can even be argued that Khan’s second-round lead is understated: YouGov asks people would they would “prefer” out of Khan and Goldsmith, not who they would give their second preference to, which is how the system works. In 2012, 185,000 second preferences went to either Livingstone or Johnson, compared to 129,000 that went to other parties and 32,000 who went to no-one. If we allocate voters’ second preferences according to how they were allocated in 2012, Khan extends his lead to 56-44. When it comes to first preferences, only two polls have assessed this, one in November and one in January. November’s poll showed Khan on 43%, Goldsmith on 40%, UKIP’s Peter Whittle on 7% and the Greens’ Sian Berry and Lib Dems’ Caroline Pidgeon tied on 5%. 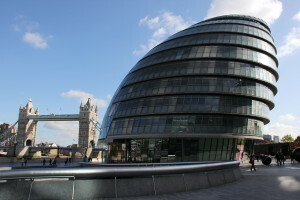 January’s poll showed Khan on 45%, Goldsmith on 35%, Whittle on 6%, Berry on 5%, Pidgeon on 4% and others on 4%. However, Khan has cause for concern. Polls in January of an election year have historically underestimated Labour’s eventual Mayoral vote. On average, in 2008 and 2012, Labour lost 6.4% of first preferences between the January polls and the election, while the Tories gained 1.6%, UKIP gained 0.4%, the Greens gained 2.4% and others gained 2.3% (the Lib Dems were unchanged). If this shift occurs again this year, the final election result will be more in the region of Khan 38.7%, Goldsmith 36.6%, Berry 7.4%, Whittle 6.4%, Pidgeon 4% and others 3.3%. If we once again allocate second preference as they split in 2012, this would give Khan a much narrower final round victory of 51.5%-48.5%. There have not yet been any polls of the London Assembly, but suffice to say it’s fair to expect Labour will lose 1 or 2 seats; the 2012 election was Miliband’s peak, and Labour won a respectable 43% of the vote across London in the constituency ballot, to the Tories’ 33%. With this election occurring just one year after a new government, rather than two, the opposition will do slightly worse, and UKIP’s almost-certain entry into the Assembly will reduce the number of List seats that Labour can win. I expect small changes in the Assembly’s composition, aside from a possible third AM for the Green Party, 1-2 AMs for UKIP and a loss of 1 or so for Labour. There will also be elections to the Northern Ireland Assembly, although the political players are very different to those in the rest of the UK. There hasn’t been any recent polling, and it would be difficult to tell a potential result even if there had, due to the proportional STV system that is used for the Assembly. Suffice to say there are unlikely to be any big changes. The Ulster Unionists did unexpectedly well in May 2015, so will likely improve on their 2011 performance; the Northern Irish Greens may win another seat and the left-wing People Before Profit party are likely to elect a member in Belfast. Aside from that, I’m not really well informed to make many predictions, but if the 2015 election result is anything to go by,we won’t see an enormous shift. Most of the seats up for election in councils across England were last elected in 2012, which as in London was Miliband’s high point across the country. In that year, Labour’s estimated national share of the vote was 38% to the Tories’ 31%. Labour won 61 English councils to the Tories’ 42, and 1,118 councillors to the Tories’ 785, the Lib Dems’ 289, the Greens’ 26 and UKIP’s 7. Corbyn is very unlikely to best this score. A few councils will probably swing back to the Tories or to no overall control, and the councillor numbers are likely to be narrower as the Tories’ honeymoon effect isn’t quite over yet. UKIP will expand strongly compared to 2012, as they only won 7 council seats that year and even the most modest expansion will look like huge gains compared to their abysmal results in 2012. The Green Party will likely continue to make small numbers of gains, in line with its usual slow growth. The media story post-local elections will almost certainly be “Labour losses ascribed to Corbyn”, but in truth, don’t read too much into this: it’s comparing the first year of a Corbyn leadership to the high point of Miliband’s. If Corbyn’s estimated national share of the vote is higher than 37%, he will have done better than Miliband did at his first electoral test in 2011, regardless of the numbers on the ground. That’s really the comparison that should be properly made here. Don’t expect it to be, though. There will also be a batch of local Mayoral contests across the country, but apart from London there shouldn’t be too many surprises. The Liverpool Mayoral election in 2012 saw Labour’s Joe Anderson elected with 59.3% of the vote; his nearest opponent got just 8%. It’s fair to say that the absolute worst case scenario for Labour in that city is Anderson getting just below 50% in the first round and walking it on second preferences. The same goes for Salford, where although Labour won 46% in 2012, requiring second preferences, their nearest opponent (the Tories) got just 18%, allowing Labour to win by 70%-30% in the final round. In Bristol, independent Mayor George Ferguson won election over Labour’s Marvin Rees by 54% to 46% in the final round; 2016 will see the two battle it out once again, with Rees requiring a swing of 4.4% to win the Mayoralty. 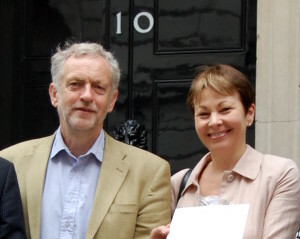 The Greens are also hoping to make an impact; their candidate came fifth with just 5.9% in 2012, but in the 2015 local elections the Greens did very well across Bristol and came second in the constituency of Bristol West, with a swing of 23%. The most likely outcome, however, is another rematch between Ferguson and Rees in the second round, and Labour’s increasing councillor strength in the city (going from 21 seats in 2011 to 30 in 2015) suggests they could pull it off this time. There will also be elections for Police and Crime Commissioners; these are largely unpredictable as turnout will be almost double what it was in November 2012 in some areas, but in areas without other elections turnout will once again be dismal. In 2012, the Tories won 16 PCCs, compared to 12 for Labour and 12 for independents. Expect some expansion for both of the major parties as people settle into traditional voting patterns, although some independents could exploit the power of incumbency to stay in office. Although we don’t yet know the date of the EU referendum, it is likely to be in 2016, and we already have had a great amount of polling for it. An average of EU referendum polls in December 2015 put the ‘Remain’ camp on 45.1%, the ‘Leave’ camp on 39.1% and ‘Don’t Knows’ on 15.4%. Excluding don’t knows, that’s a Remain-Leave split of 54%-46%. This lead is smaller than it was at other points in 2015, however; in June, the Remain campaign’s lead was 14 points. It’s now 6. In June, YouGov showed Remain leading by a 54-46 margin; they now show Leave leading by 51-49. On average, however, the Remain campaign is doing better than in November 2015, when they led by just 2.3 points. There will be a lot of electoral contests over the next 12 months, and lots of statistics for nerds like me to comb through. The polling will shift from its current position, and it may be that my predictions turn out to be nonsense. But I would very maintain that statistics and polls can help us understand the electoral landscape better, and give us a sense of where we’re going as we head into what I will continue to call “Super Thursday”. Elliot Folan is a postgraduate student and political activist at the University of East Anglia. They are a keen follower of polls and election statistics, despite only occasionally managing to win elections themselves. Their most treasured possession is a Troy & Abed mug from the TV series Community, and they aspire to be a combination of Abed Nadir and Britta Perry when they grow up. A real opportunity for substantial gains in Sheffield thanks to ‘all out’ elections, favourable boundary changes and stacks of hard work by Sheffield Green Party.